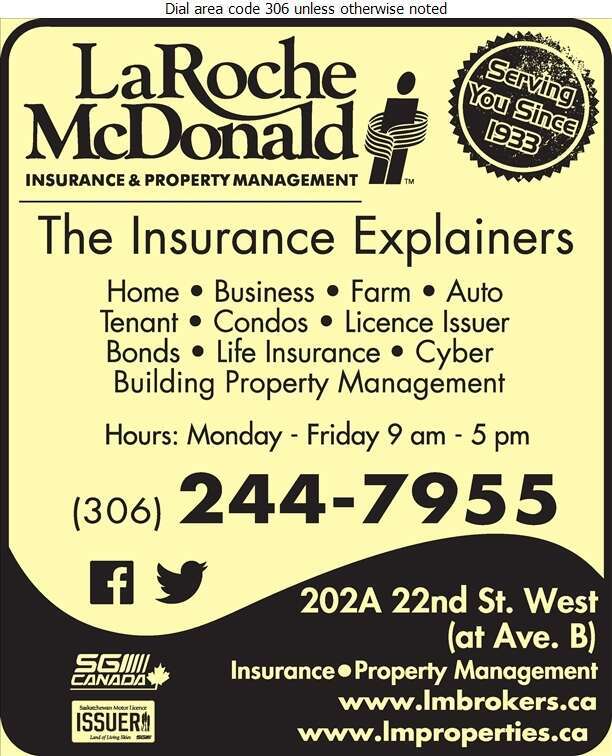 LaRoche McDonald Agencies Ltd, provides general insurance and risk management services. In addition to our insurance and motor licensing services, we specialize in the management of residential apartment buildings. We provide drivers licenses, renew vehicle registrations and all SGI auto fund services including permits, transfers & photo identification. Call us today for the best mortgage rates available, or for more information on our many services.